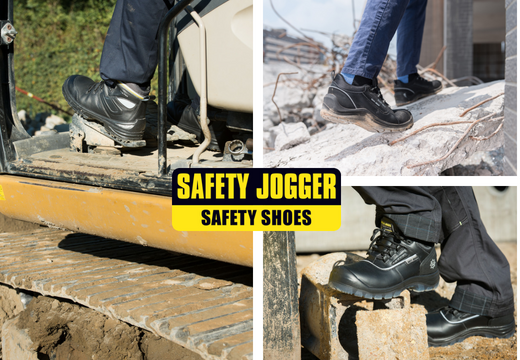 Be pain-free in heavy-duty work environments with a pair of comfortable work shoes from Safety Jogger. Get more work done and end wasted time dealing with sore muscles or aching feet. It's time to enjoy every work day. From classics to sporty looks and from affordable high quality to the ultimate future-proof boot provided with revolutionary comfort & safety features, Safety Jogger has it covered. What makes a light-weight work boot? Every vital element: the protective toe, outsole, upper material, lacing hardware, linings and insoles all contribute to the final weight of a work boot. There are 2 MAIN STANDARDS for safety footwear: ASTM 2413 & EN ISO 20345. Besides these 2 main standards, Safety Jogger pays attention to other safety footwear standards as well (AS/NZS, JIS, LA, SNI, SIRIM, GOST, OHSC). 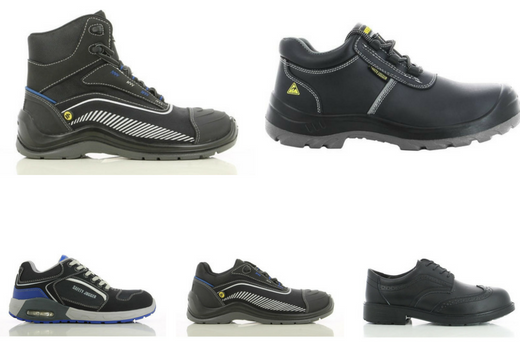 We stock a wide collection of Safety Jogger Footwear and have options for the ladies available too. For the more sporty look, we have a wide range of options, from the Turbo Safety Shoe, Dynamica Safety Shoe to the Aura Safety Shoe.